Two of Dublin’s biggest estate agencies, Savills and Lisney, are planning to move to larger offices in the south inner city. Savills have been looking at other premises on Molesworth Street close to where they are currently based, as well as on South Frederick Street and St Stephens Green. Managing director Angus Potterton told The Irish Times that they are looking for 20,000sq ft of offices to cater for a 30 per cent growth in their workforce over the past year. Savills has had a strong run of sales of distressed commercial property assets in the past year with most of the instructions coming from either receivers or the Royal Bank of Scotland, owners of the Ulster Bank. 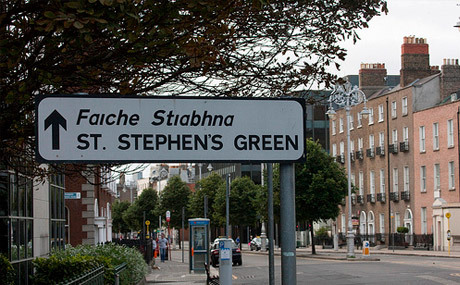 Lisney’s priority in looking for a new 8,000-9,000sq ft head office will be to accommodate 70 staff on one or two floors rather than on six levels as is currently the case on St Stephen’s Green. “If we find suitable accommodation on one level it will mean there can be better communication and interaction between the staff,” says Duncan Lyster, director of investment.